Help, my mashed potatoes turned out watery once again. How can I remedy the situation without looking foolish in front of family and friends? That’s a very good question this time of year with all the parties, holidays and cooking occasions. 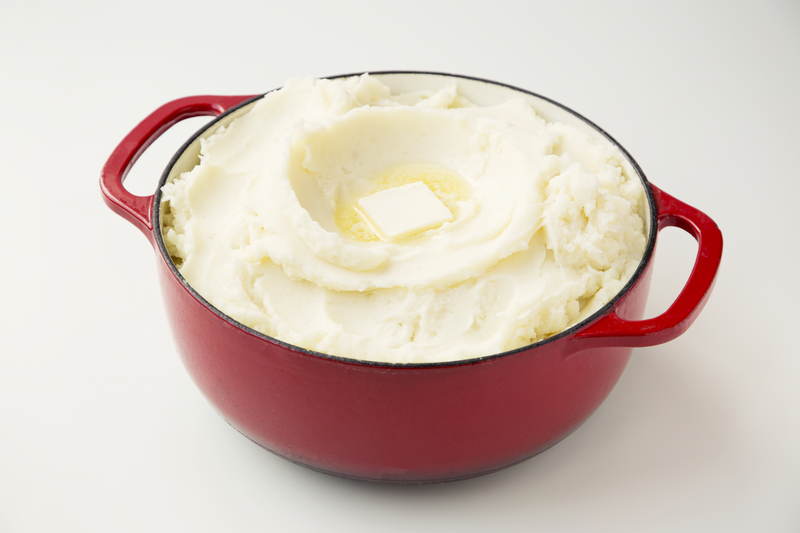 While they may be too far gone, if you overwhipped them and they turned out gluey, my go-to solution is to tear open one of those packets of dry mashed potatoes in your pantry and stir some in, usually a few tablespoons, which will absorb the extra moisture. While I love all of the flavored dehydrated mashed potatoes, I always keep some plain Idahoan® mashed potato packets around just for fixing food problems like this. It’s also a way to thicken gravy as it can be added at the last minute to make it creamier, and can thicken that watery special homemade soup too.